Click HERE to download a printable flyer. Please distribute or hand where it will help. 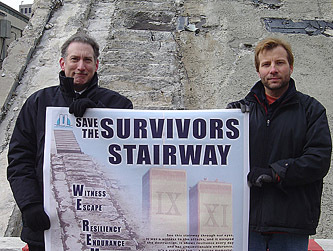 The WTC Survivors Network Seeks to Save Stairs. MARCH 8, 2007: GROUND ZERO: The "Survivors' Stairway" is the last remaining above-ground remnant of the World Trade Center. 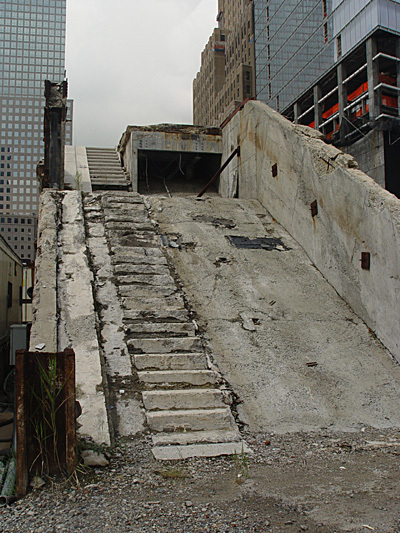 The Vesey Street stairway was used by hundreds of people to evacuate the towers on September 11th, 2001. 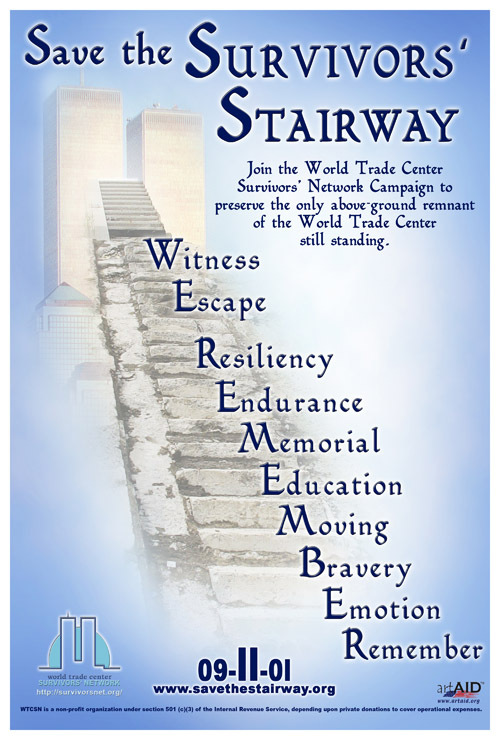 For many, it was the only route of escape, and is thus now termed the “Survivors' Stairway.” ArtAID has been commissioned by the WTC Survivors Network to create a poster in support of the Save the Stairway Campaign. For many, this section of stairway was the only means of excape from the inferno and collapsed towers. This section of the stairway is the only remaining piece of the former World Trade Center still standing at ground level. ArtAID Provides designs for a Banner and Flyers for Survivors Network Save the Stairway Campaign.